"Just picked up these services and excited to see what is to come." "The experience that I had with my salesperson Darius has been great one. He listened intently to all of my questions and when he couldnt answer them, he found answers. If you are in the market for a car see Darius Jones in Kia." If you’re in the Flowood or Jackson, MS area, come to your local Kia dealership. 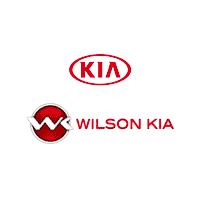 At Wilson Kia we have a large selection of vehicles, friendly finance department, expert technicians and all the parts you need for your vehicle. Our large inventory offers the latest new 2018 Kia inventory at a great price. Explore our new inventory to find the 2018 Kia Sorento, the 2018 Kia Optima, the 2018 Kia Soul or another model that you’ve always wanted. You should also check out our used vehicles for great savings and a wide selection. Getting into a Kia model is even easier if you fill out our online Kia finance application. And, if we don’t have the vehicle you’re looking for, check out our CarFinder form where we will do all of the work for you. At Wilson Kia it’s our mission to deliver the best customer service and that’s why we offer special Kia programs, vehicle incentives and Kia specials. Our dealership is ready to help you with any vehicle service needs, so if your vehicle is in need of a service schedule your Kia service appointment today. You can also request parts conveniently online. At Wilson Kia we know it’s important to keep your vehicle lasting long and we dedicate all our services to you and your driving needs. If you have any questions on parts, services or vehicles contact Wilson Kia online or stop by our dealership located at 4204 Lakeland Drive, Flowood, MS. We’re excited to work with you soon!